Our family invites you to discover a home away from home during your next Pennsylvania Dutch Country vacation. 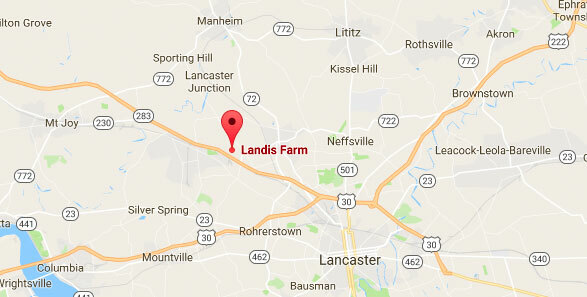 Whether you’re looking for a quiet retreat or a family-friendly country farm vacation, the 1760s-era Landis Farm Guest House is an ideal setting. The Guest House offers an eat-in kitchen, living room, two upstairs bedrooms, and a full bathroom. It can accommodate up to four people in two bedrooms, and a larger family can sleep additional people in the living room. We are conveniently located just minutes from Rt. 283. Get Directions. Jeff and Deb purchased the farm from Deb’s parents, Earl and Evie, in 2016. They, along with their three children, Colleen, Corissa, and Jeremy, are the third generation to live and work on the farm. Jeff and Deb operate two chicken houses on the farm and sell fresh quality eggs to a local company. Jeff is also currently self-employed selling Snap-on Tools. During high school, Jeff worked on a farm, while Deb grew up at Landis Farm. 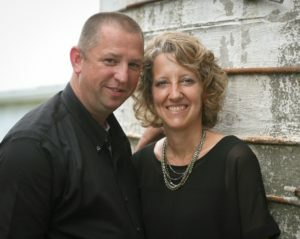 The couple enjoys meeting new people and sharing the farm with others. Check our availability online and make a reservation.